Want to feel like you’re part of your own movie? Try out our thrilling Battlefield Live Combat Game in Newmarket, Suffolk for a realistic experience! This fully interactive game is suitable for all ages to enjoy and is great as a birthday, hen or stag party. 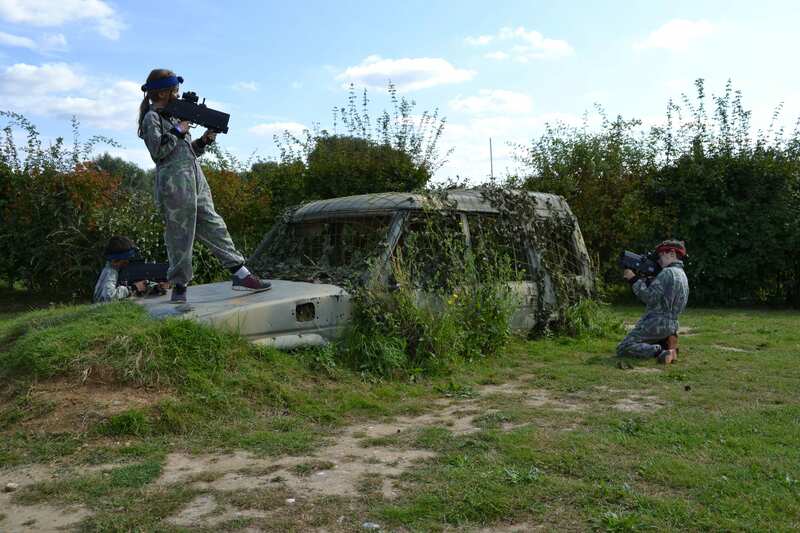 Located off the A11 near Cambridge, our WildTracks activity park in Newmarket, Suffolk offers the ultimate combat game. Our Battlefield Live Combat experience puts you through your paces, you’ll run through basic training and manoeuvres to get a real life combat experience, and with real military exercises using sophisticated replica gaming guns, you will experience the look, feel and sound of the real thing. Unlike some other shooting games such as paintballing, our carefully created guns do not fire projectiles so there is no need to worry about getting hurt or stained clothing. The guns fire an infrared beam activating sensors fitted to your opponent’s kit, once you hit the sensors they will flash indicating a successful shot. Be sure to move quickly, once you’ve been shot a certain amount of times your gun will be deactivated and your time in the game will be over! Battlefield Live can be played under most weather conditions as your shots are not affected by the wind. As our Battlefield Live Combat Game is completely harmless, you also don’t have to worry about wearing any protective clothing such as masks or heavy padding. 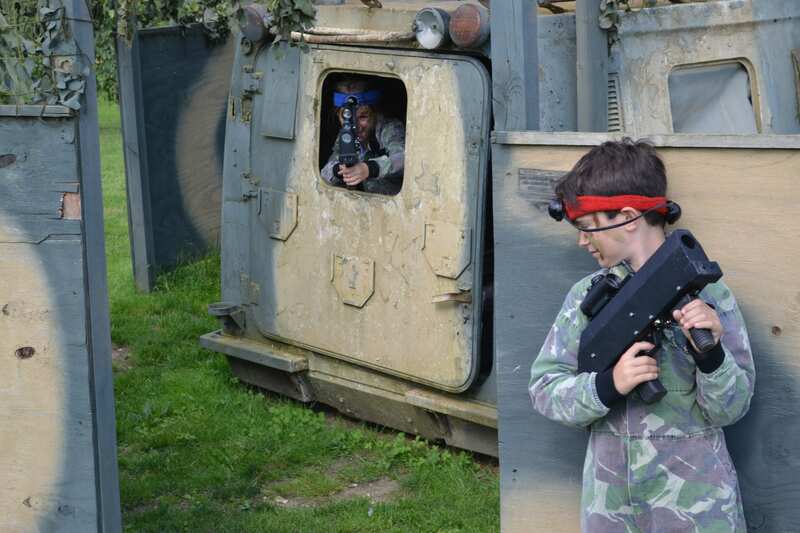 Our Battlefield Live area at our WildTracks activity park near Cambridge is perfect for groups of all sizes. You’ll be issued with team outfits, hats and guns, and will benefit from expert instruction for just £25 per person. The minimum size for this group activity is 6 players. Our activity park is located in Newmarket, ideally located for anyone travelling from or near Suffolk, Norfolk, Norwich and Cambridge. We have made big improvements to our Battle Ground this year making it even harder to beat the opposition.- 2018 Book your Battlefield Live experience today by calling our friendly team on 01638 751918!